Two operations, one building and one mission: helping the less-affluent with their housing challenges. 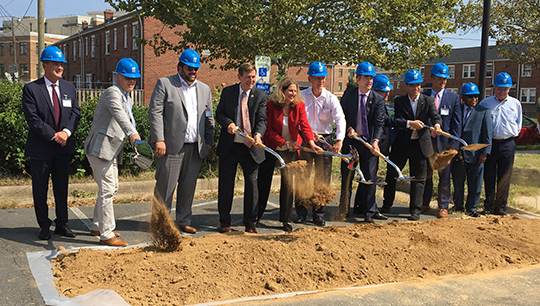 That’s the case in Alexandria, where officials have broken ground for The Bloom, an apartment complex for low-income households, and for a replacement structure for Carpenter’s Shelter, now serving the homeless from a retrofitted DMV office. The two operations will share a single building. The Bloom’s 97 rental units – reserved for tenants who make less than 60 percent of the area’s median income – will sit atop the shelter. The energy-efficient building will have an underground parking garage, a 1,600-square-foot garden, a playground, a community room and outdoor terraces. Its proximity to schools, shopping and public transportation exemplifies “smart growth” development. Under this planning approach, urban growth is confined within compact areas to reduce sprawl and foster safe, walkable and sustainable neighborhoods. VHDA and Alexandria Housing Development Corporation worked hand-in-hand to make this venture a reality. VHDA has committed $10.3 million to fund it, including $5 million from REACH Virginia. VHDA contributes a substantial portion of our net revenues to fund this program, which addresses housing needs throughout the Commonwealth. VHDA’s financing or Housing Credits have helped launch other affordable rental properties in Alexandria in the past. 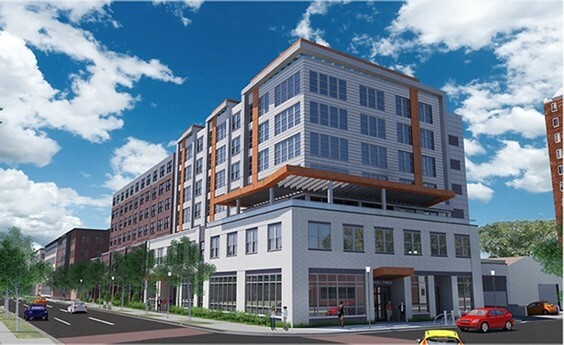 Examples include Lacy Court Apartments, Arbelo Apartments, Longview Terrace Apartments and The Station at Potomac Yard, which total 183 units. A future endeavor, The Gateway, will have 74 units, a grocery store and office space, and it will also house a new bus rapid transit station. Attending the groundbreaking of The Bloom and Carpenter’s Shelter were numerous state and local elected officials and other guests. Speakers included Governor Ralph Northam, Congressman Don Beyer, Alexandria Mayor Allison Silberberg, AHDC President Daniel Abramson, Shannon Steele from Carpenter’s Center, and VHDA’s Director of Rental Housing Dale Wittie.